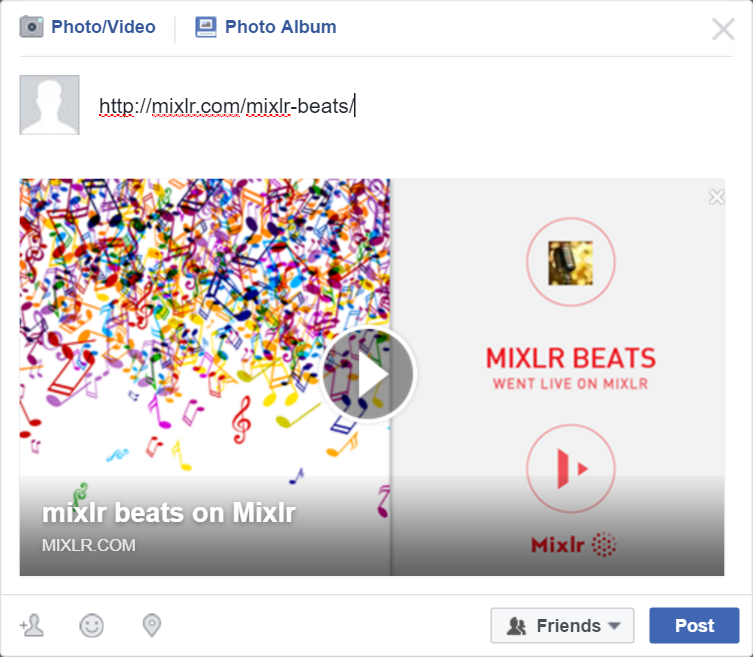 Sharing your Mixlr broadcasts via social media posts is a great way to get the word out that you're starting a broadcast, so your friends and followers can tune in. 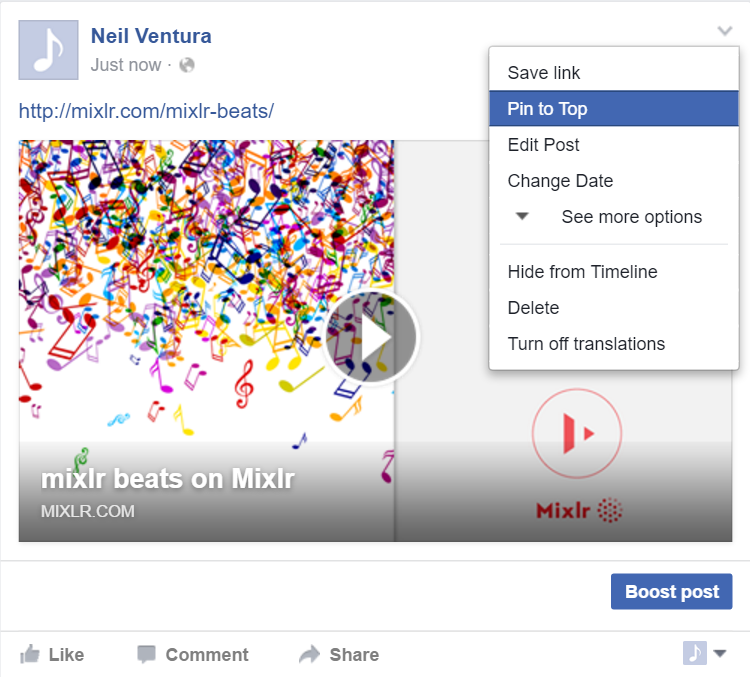 To share via social media, paste your livepage URL into your Facebook status update or Tweet. Once you post the update or Tweet this will switch into a large image which your followers can select to visit your Mixlr livepage to hear your broadcast. If you own or manage a page, you can pin your Mixlr post to the top of the page by clicking on the arrow located on the upper right corner of the post and selecting 'pin to top', or 'in in your profile page' on Twitter. 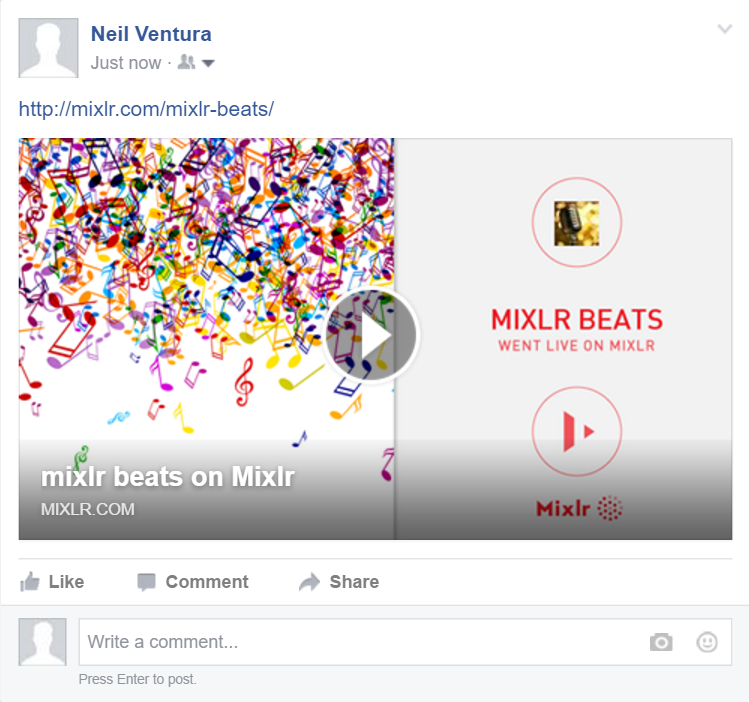 Find out how to add a Mixlr player to your website here, and how to add it to Wordpress site here.